A visit to The Tomb is a one-of-a-kind experience that your group won’t soon forget! Guests at this attraction play the role of archaeologists investigating an ancient Egyptian tomb. When the angry ghost of a Pharaoh blocks the exitways, the only way to escape is to solve a series of mind bending puzzles and challenges. The Tomb is great for groups, because working together with a big team is the best way to win the game. Spending the day at Dollywood is another one of the most fun things to do in Pigeon Forge as a group. This incredible theme park truly has something for everyone. Adrenaline junkies will love Dollywood’s collection of thrilling rides, including the Lightning Rod, which is the world’s fastest wooden roller coaster. Children who are too young for the park’s most extreme rides will find a number of great family adventures and kiddie rides to enjoy. Dollywood is also fun for families that have no interest in roller coasters. The theme park features wonderful music shows, with a special emphasis on country and bluegrass. During Dollywood’s various festivals throughout the year, the park also hosts big name gospel acts and performers from all around the world. No matter what you’re interested in, you’re guaranteed to find something you’ll love at Dollywood. An old time photo is the perfect memento from your Pigeon Forge vacation! The Smokies are home to a number of wonderful photography studios where you can dress up as cowboys and saloon gals, gangsters and flapper girls, or Southern gentlemen and Southern belles. Getting the whole group dressed up for a photo is always a blast. Wild Gals Old Time Photo is one of the best places to get your picture made in Pigeon Forge. Mama’s Farmhouse is an excellent place to eat as a group because everything is served family style! When you eat at this restaurant, you will enjoy endless plates of all your favorite Southern dishes, including fried chicken, honey-glazed ham, country fried pork, macaroni and cheese, and buttermilk biscuits. Open for breakfast, lunch, and dinner, Mama’s Farmhouse never disappoints. The Island in Pigeon Forge is one of the region’s most popular shopping and entertainment areas. Located right off of the Parkway, this complex is home to over 60 unique shops, a variety of superb restaurants, an enormous ferris wheel, and a host of other rides and attractions. With so many different options in one convenient location, it’s easy for large groups to split up and explore for a while before reconvening for a shared activity. When you stay with Large Cabin Rentals, you will be just a short drive from all of these fun things to do in Pigeon Forge as a group. With everything from 4 bedroom cabins to 18 bedroom lodges, our rentals offer the perfect accommodations for family reunions, getaways with friends, church groups, corporate retreats, or weddings. Our largest property can sleep up to 84 guests under one roof! 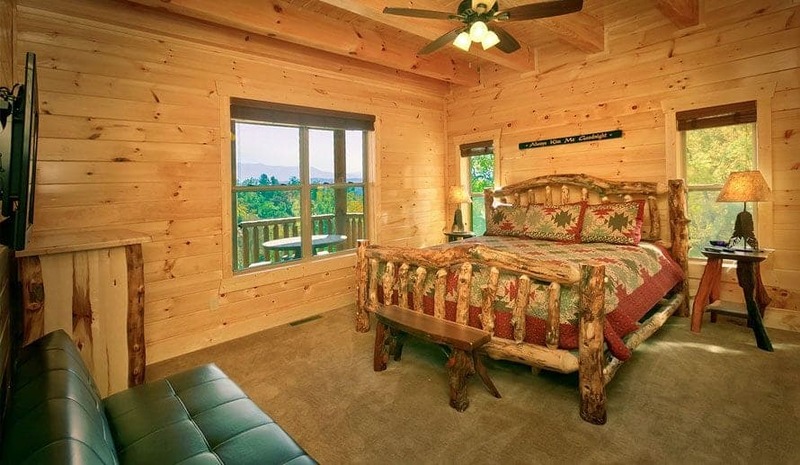 To start planning your vacation, browse our complete selection of large group cabins in Pigeon Forge.